Starting as a roman army post, moving on as an aristocratic residence city and arranging the Olympic Winter Gems twice! 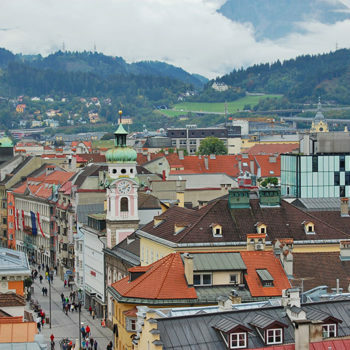 Innsbruck has come a long way and probably can present itself as the capital of the Alps. 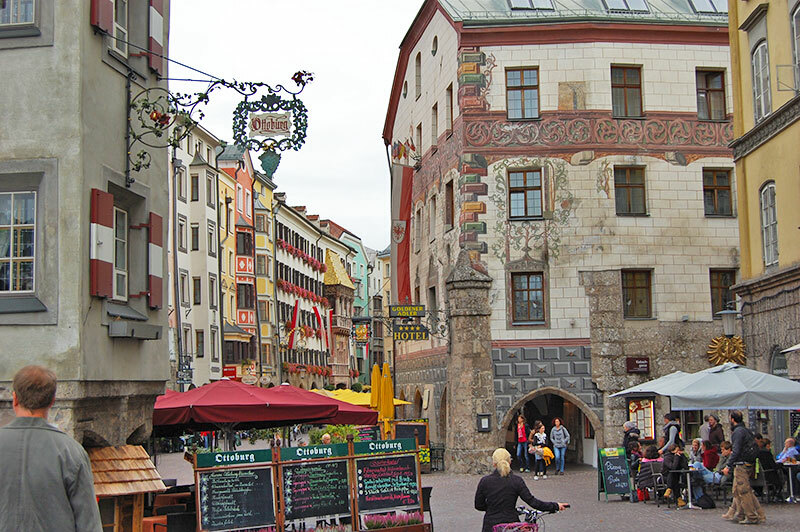 Innsbruck, the capital of Tirol, Austria spreads out in the Inn Valley where the river Inn makes a bend north, before continuing east. 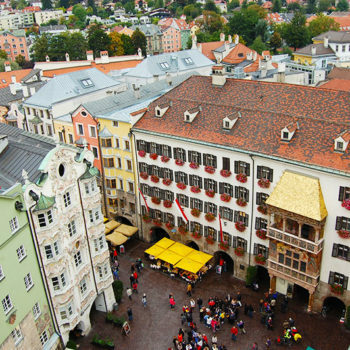 In the midst of the most alpine state of Austria, the city’s 130.000 inhabitants enjoy a thriving city and all year outdoor adventures. Although the city is smack in the middle of the Alps, it’s sometimes overseen as a tourist destination. Sure, arriving in Tirol in winter, most people head directly for the ski slopes. Nevertheless, it’s definitely worth a visit. 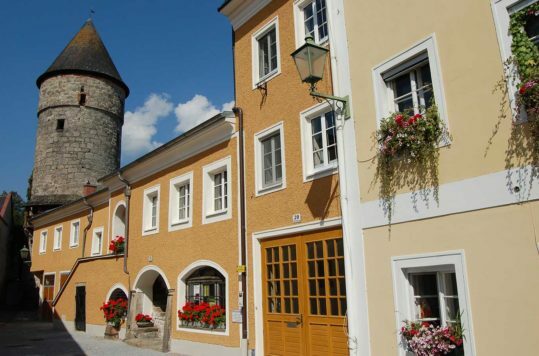 The main attraction all year around is the historical centre, which is well preserved. You could easily spend 2-3 hours taking in the sites here, which are all in short walking distance. No matter the time of the year, strolling around the historical centre is a delight. Start by getting up in the City Tower (Stadtturm) to get an overview over the city. 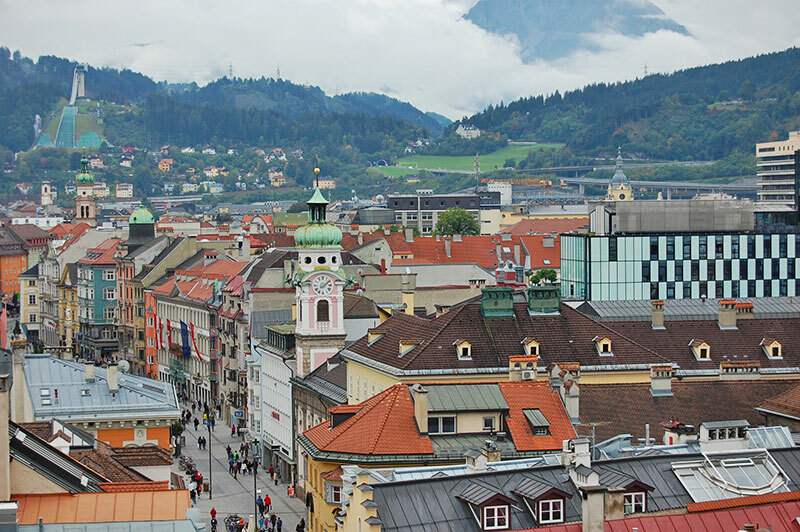 The tower, constructed in 1450 A.D, gives you nice views of Innsbruck and the surrounding mountains. OK, you have to go up 148 stairs to reach the viewing platform, but it’s worth the effort. 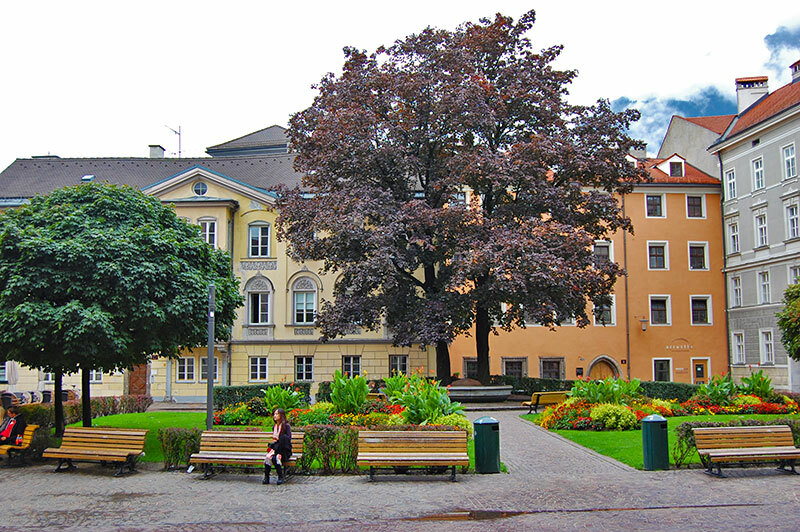 Since the tower is right off the old market square, you get a different impression of some of Innsbruck’s landmarks. Such as the famous Golden Roof, where the shiny appearance comes from the copper slates. 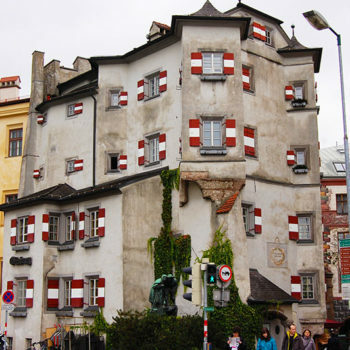 The balcony with the roof was built to mark the wedding of emperor Maximillian II and Bianca Maria Sforza in 1500 A.D. 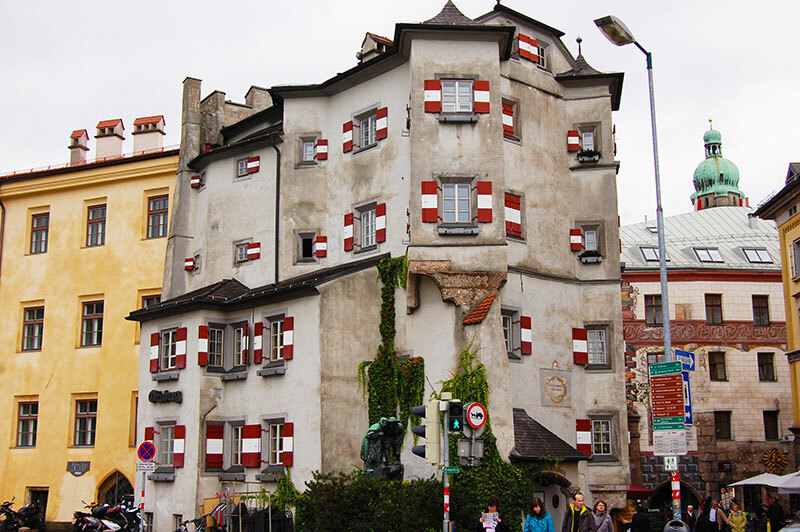 The couple used the roofed balcony to watch festivals and knights tournaments. The historical centre is very popular among tourists from all around the world, and especially in summer, it can get very crowded. Thus, if you need to get away from the hoards there are several opportunities. 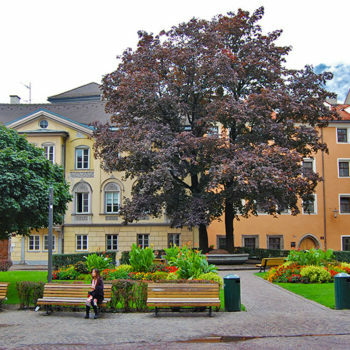 Just a few steps away from the most bustling streets of the old city we found a little park to relax, next to the Jesuit Church. If you like hanging out in parks, you could also head for Schlosspark Ambras, which has a very nice park. Especially on hot summer days, the big trees offer shady retreats and plenty of space for the kids to play around. The kids will also probably enjoy the Alpenzoo more than some boring old houses. 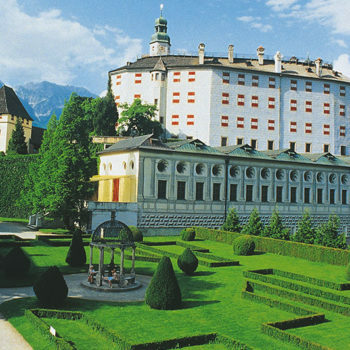 The Zoo houses a range of animals found in Austria and the Alps. 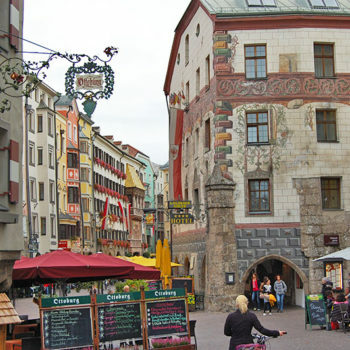 In winter, Tirol and Innsbruck is all about skiing and other snow activities. 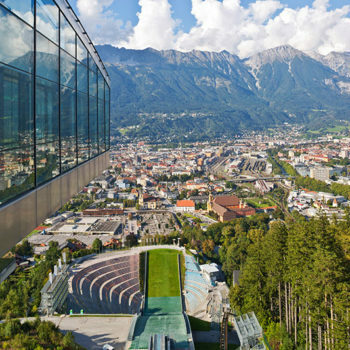 Innsbruck hosted the 1964 and 1976 Winter Olympics and the slopes are reachable by cable car from the city outskirts. There are several ski resorts very near Innsbruck. 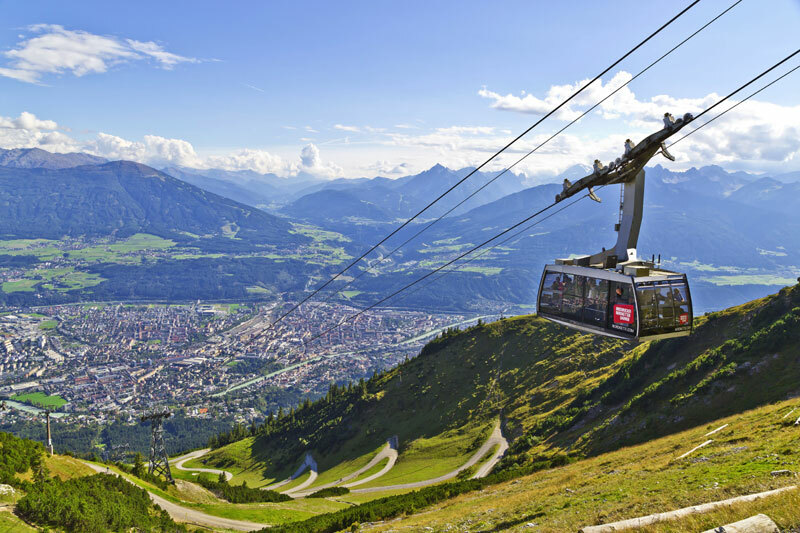 Nordkette – the mountain range just north of the city can be reached by cable car from the outskirts of Innsbruck. The Nordkette mountain range is part of Austria’s largest nature park, the Karwendel Nature Park. 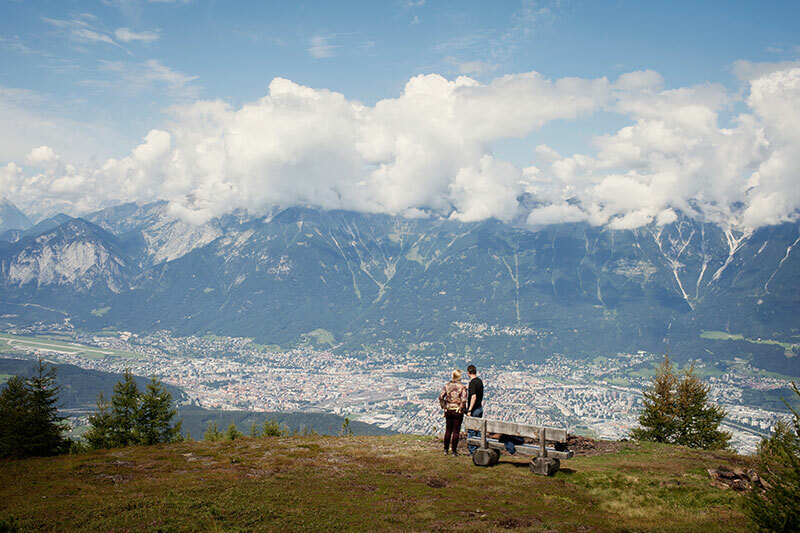 In summer, Innsbruck is an excellent base for hiking in the surrounding mountains. Some of the cable cars are running in the summer as well, giving easy access to the mountain ranges both north and south of the city. 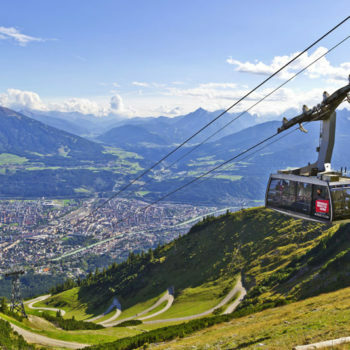 Right in the vincinity of the city you have the Patscherkofel Cable Car which takes you up to just short 2000 metres above sea level, where you have numerous trails. The view from the top is simply mesmorizing. Also worth a visit is the small but interesting alpine botanic garden Alpengarten Patscherkofel not far from the cable car station , which is run by the University of Innsbruck. 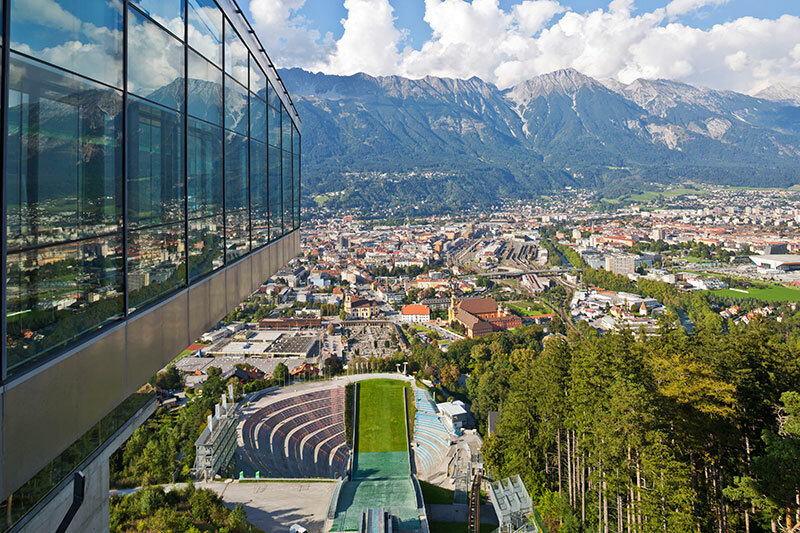 Innsbruck is more than just a hub for outdoor activities. Get your hiking or ski boots off and head for the city centre. The city is sizeable enough to have a wide range of dining, cultural and shopping activities, catering for most tastes and wallets. 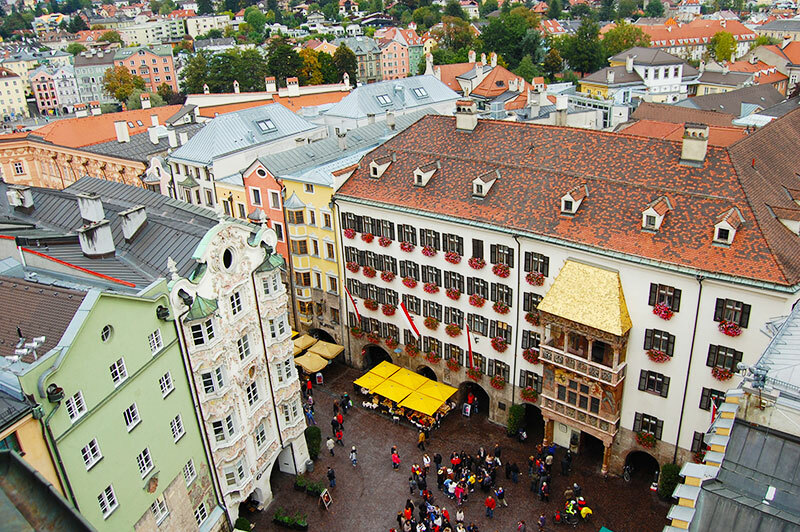 The historical city centre of Innsbruck, as so many others in Austria, is a very lively place. Although most mainstream shops have moved out to one of the shopping malls, there are ample of shopping possibilities in the city centre. Thus, for a rainy day or an afternoon, the city will keep you busy with indoor activities as well. 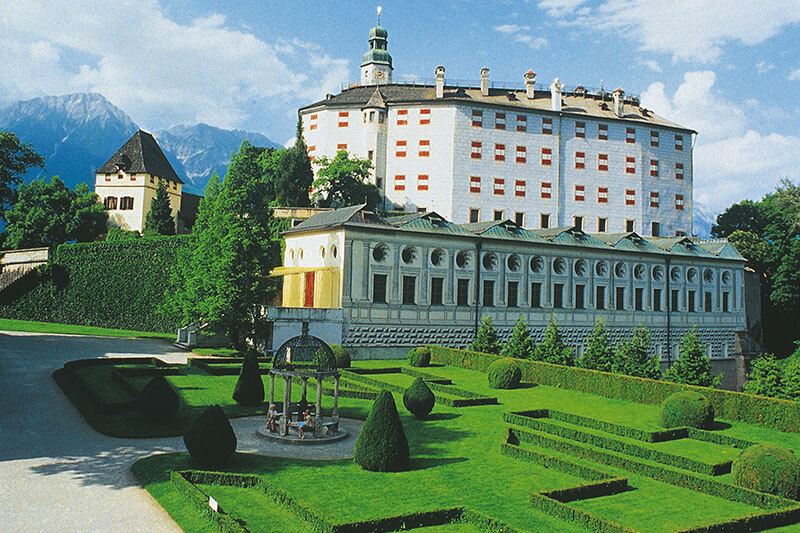 Ana Lucia has traveled the world, but fell completely in love with Austria. She loves the dramatic mountain landscape, the phototastiske lakes and the captivating castles. Moreover, a real Wienerschnitzel is always on the menu when she explores the alpine country.